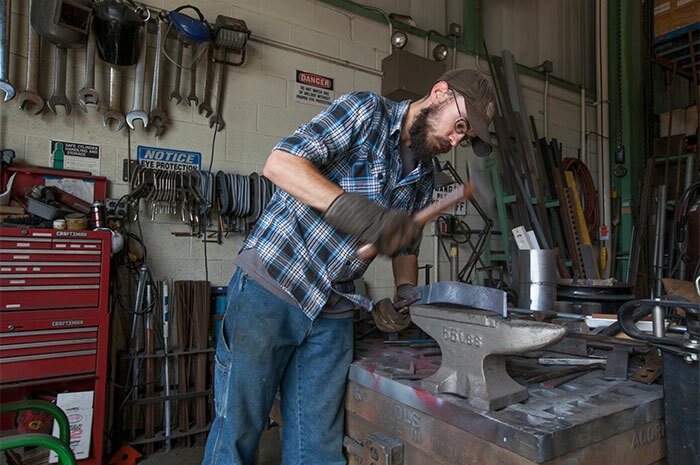 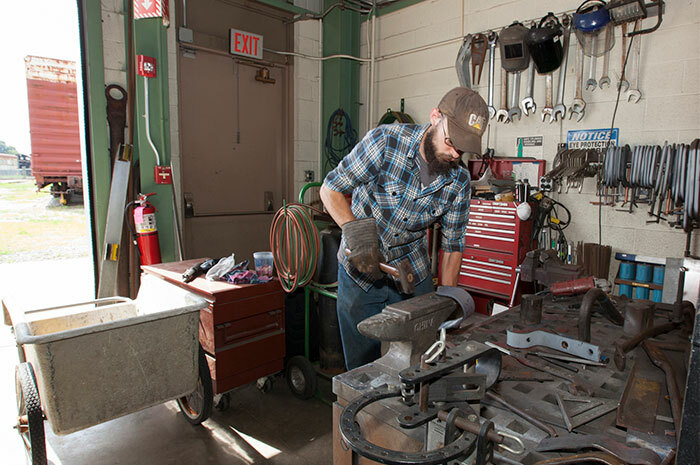 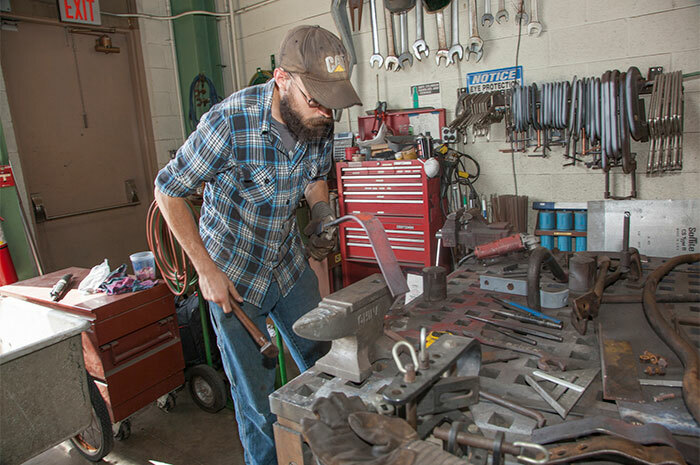 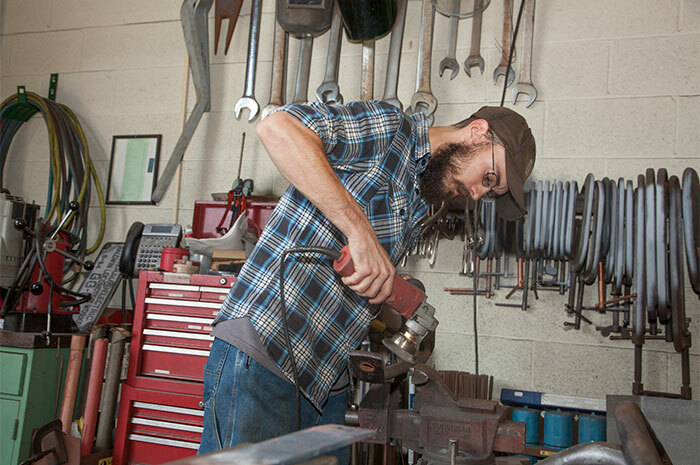 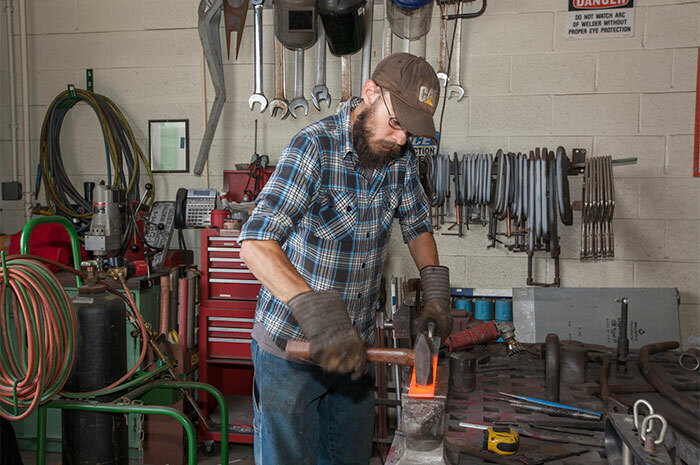 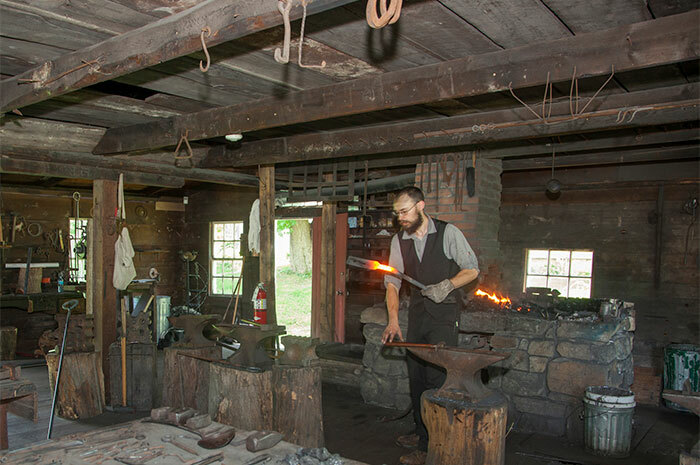 Historic preservation demands skills in traditional blacksmithing, metal fabrication and restoration. 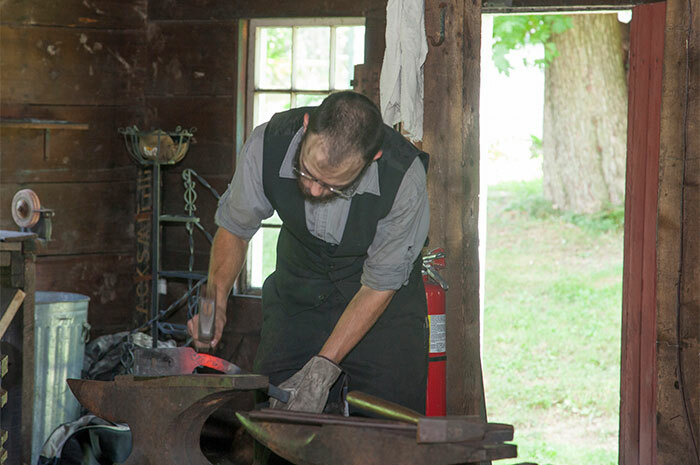 The Thaddeus Stevens College of Technology awards the Ddora Foundation's annual Preservation Trades Summer Apprenticeships to continuing students and recent graduates. 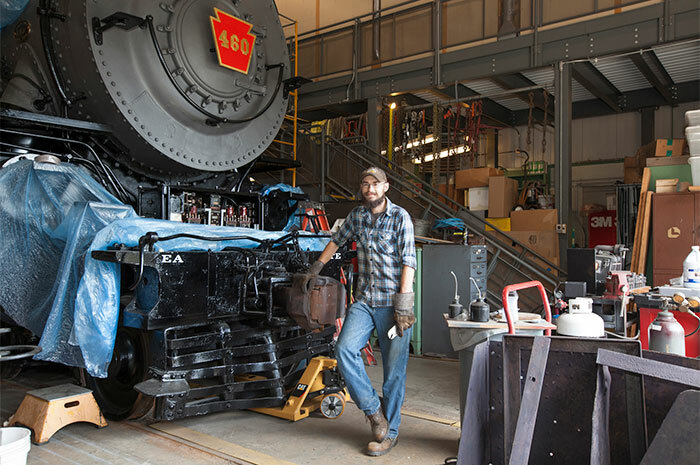 Under the aegis of the Pennsylvania Historical & Museum Commission apprentices work at The Railroad Museum of Pennsylvania and the Landis Valley Village and Farm Museum. 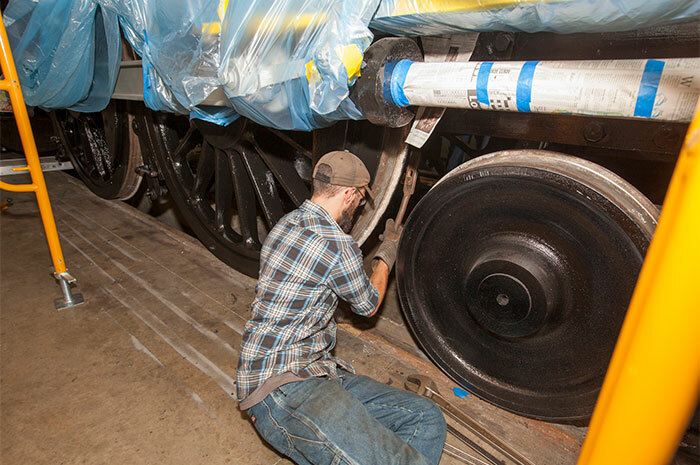 The museum has a fully functional restoration shop for its collection of rolling stock train cars and locomotives. 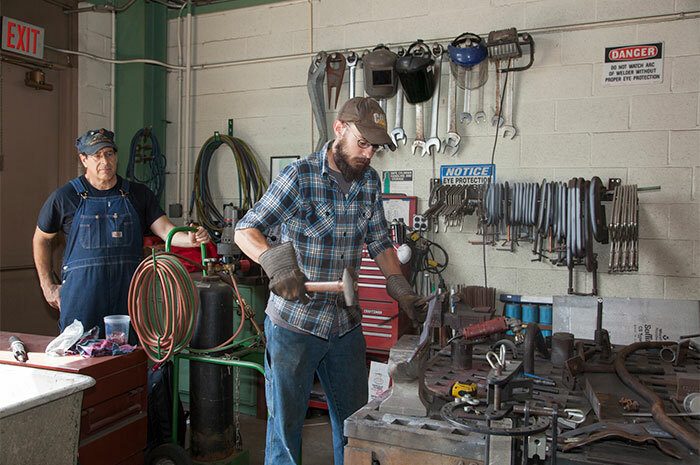 Apprentices learn metal restoration techniques in welding, milling, fabrication, sheet metal work, surface preparation, painting and casting. 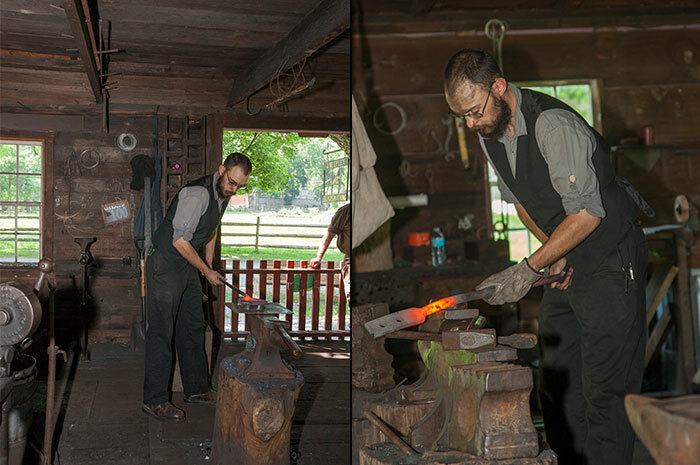 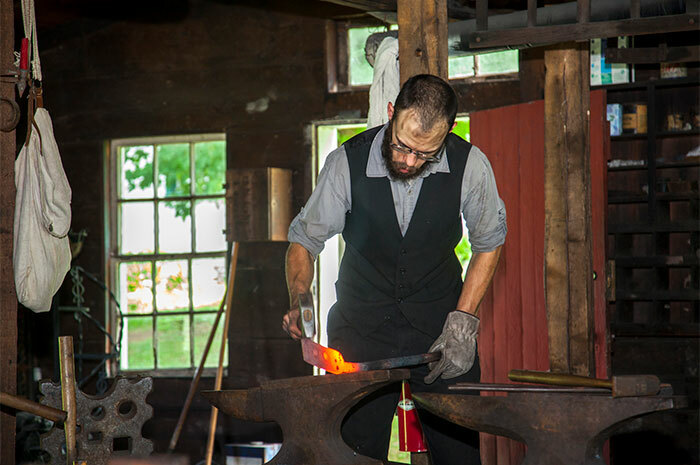 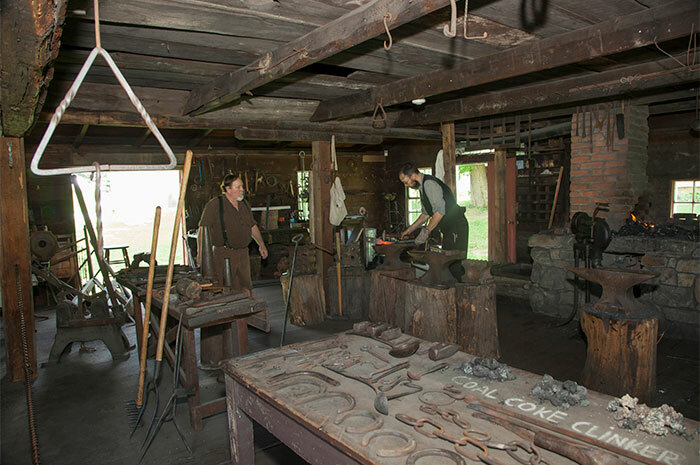 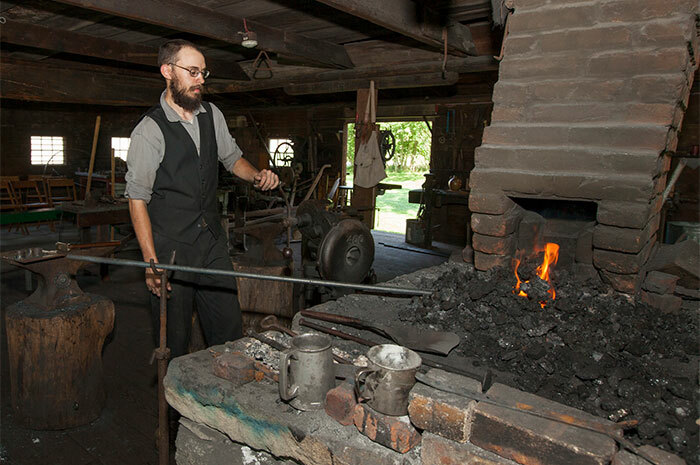 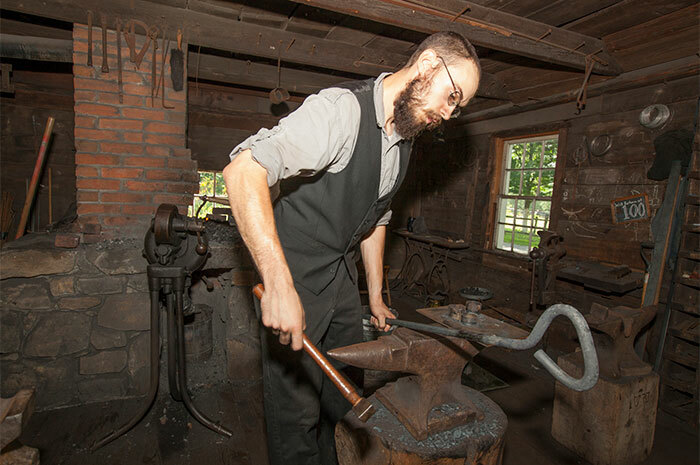 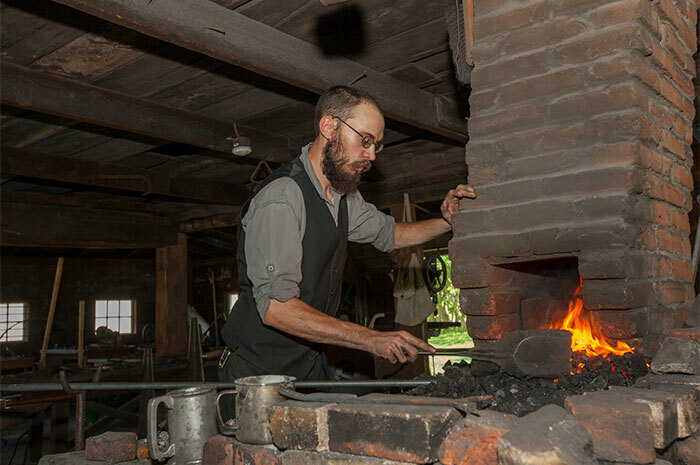 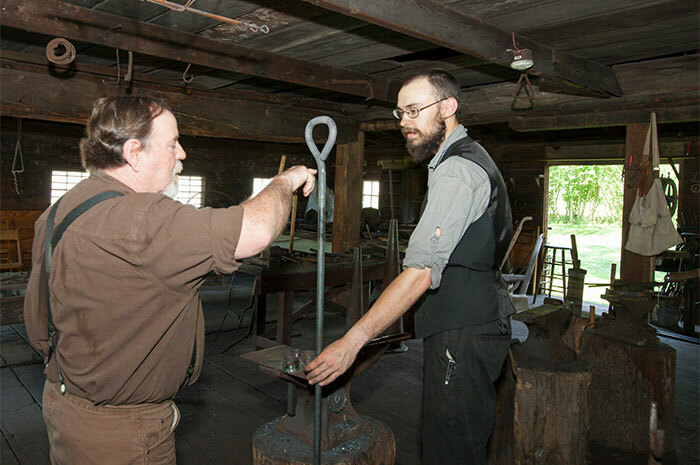 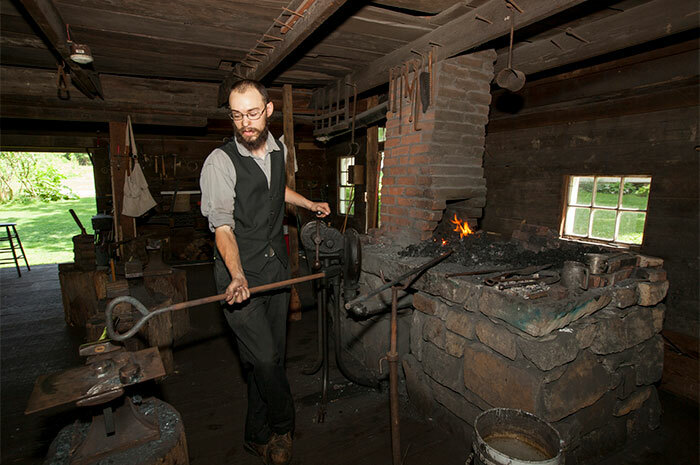 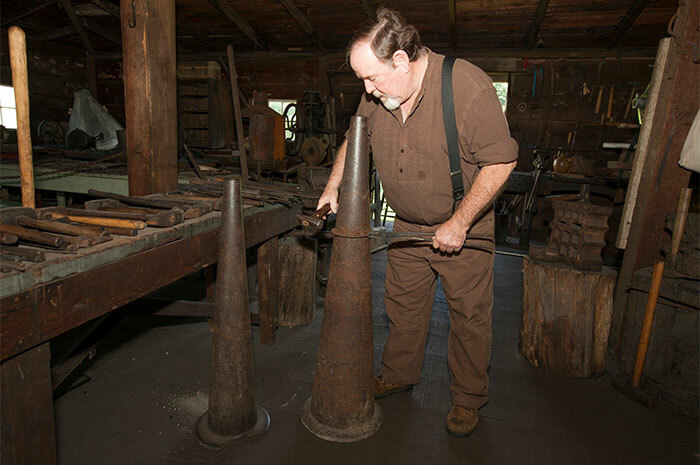 At the blacksmith shop apprentices are guided by a master blacksmith in using a mechanical bellows to heat the forge and fashion metal to for restoring the train. 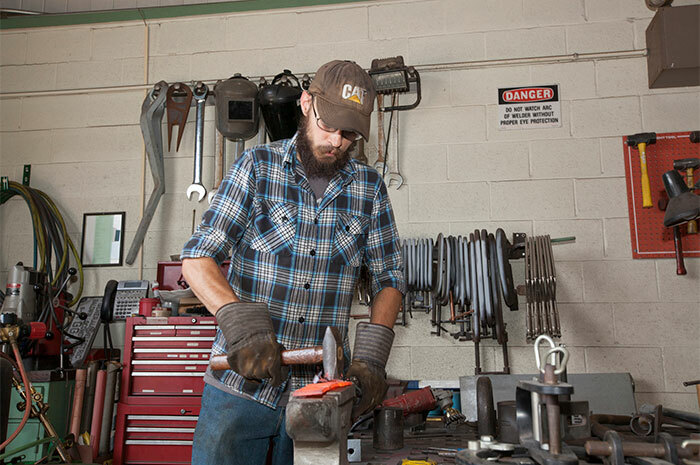 To pause slide show, click on main image. 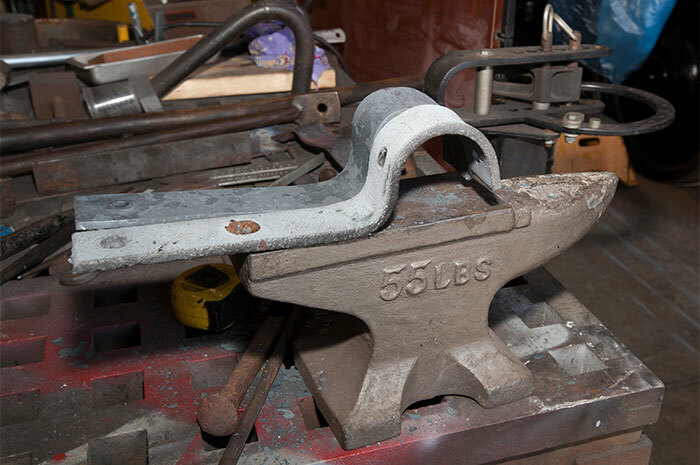 Below is video from project.